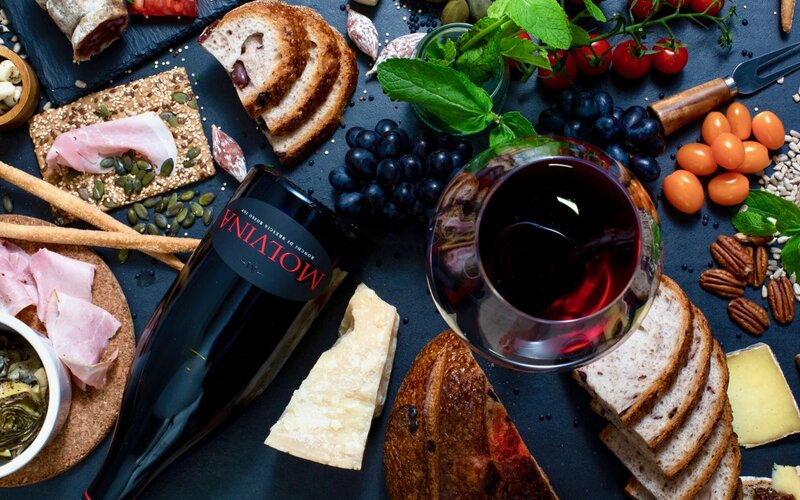 Award Winning intense red wine with ruby reflections. The flavour is ample, with an elaborate bouquet, dominated by berries and shades of cherry. The taste is elegant, with hints of plum, velvety tannins and with strong signs of ripe red berry fruits. The ageing in oak barrels gives this wine an unmistakable aroma, velvety on the palate, round, perfectly structured and balanced. The scent is persistent, with toasted oak highlights and with an aftertaste of smoked cocoa. 2014 was a very unpredictable vintage from a meteorological point of view, with an abnormal alternation of rain and sun. Thanks to the shelter offered by the Lombardy Pre-Alps, to the particular shape of the ground and to the warm and sunny last months of ripening, this year we have collected excellent quality grapes that have allowed us to obtain a fine wine that develops refined aromas and unique sensations. 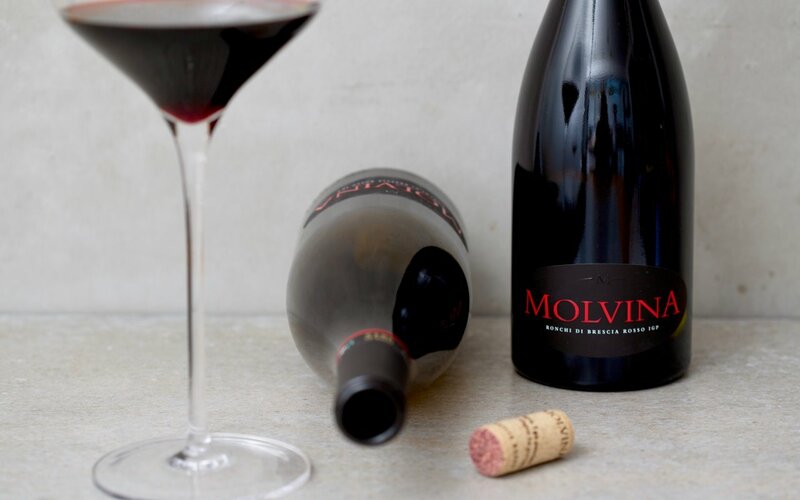 The blend is composed of four vines – Barbera, Marzemino, Schiava gentile and some Sangiovese – in variable percentages, but with constant prevalence of the first two vines. After a mild and rainy winter, where in very rare cases the temperatures dropped below zero degrees, spring followed with warm and sunny days. These conditions favored an early budding by a couple of weeks compared to the usual calendar. With the arrival of summer, however, there were also wet winds of sirocco with perturbations and rains throughout the month of July, and the first half of August. The veraison (color change of fruits) and maturation was delayed by a couple of weeks. The weather thereafter got better and better, with warm and sunny September and October. This allowed the grapes to ripen and a gradual and constant process of accumulation, necessary to obtain a high quality product. The grapes, dry and perfectly ripe, were then ready to be harvested. It is a wine with an intense ruby red color and with garnet reflections. The carefully managed aging gives it an intense, unique and unmistakable bouquet. 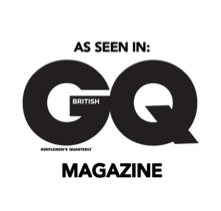 The scent is pleasant, with hints of vanilla, tobacco, blackberry and ripe red berries. Well-rounded, smooth satin-texture and harmoniously balanced. It has an alcohol content of 14.5 degrees. Smelling: Oaky, Tannic, Rich, Red Fruits. Sipping: Ample, Well-Rounded, Supple, Oaky, Plum, Black currant, Cocoa, Fruity, Tannic, Smooth, Tobacco, Vanilla, Well-balanced, Refined. It should be served at a temperature between 18 and 20 degrees, better by using a large tulip glass for the exaltation of perfumes. Important to open the bottle at least two hours before consumption. Particularly suitable to accompany roasts, game, and all kinds of red meat or ‘salami’. Excellent paired with aged cheeses. Village of Molvina, Brescia, Lombardy region, Northern Italy. It is produced in a hilly area in the Lombard Prealps, particularly protected from cold northern winds where a favorable microclimate develops. The grapes grow at heights between 400 and 600 meters above sea level in a vineyard with yield per hectare of about 70/80 quintals of grapes. The soils are composed of “Marna”, well drained and without stagnant humidity. The favorable location of the vineyard gives our grapes maximum sun exposure, from dawn to dusk, thus obtaining wine of unique particular characteristics. The late harvest of the grapes usually takes place after the second half of October. Bunches are picked, selected by hand and placed in boxes of 5 kg each. The grapes then rest for about a month to obtain the right drying. The crushing process follows and the musts are then placed for three weeks in vertical temperature controlled steel fermenters. After the fermentation process, the wine is separated from the solid part and left to rest for a year in the cellar in underground tanks, thus avoiding even the slightest changes in temperature. The next phase involves the selection of the best crus to obtain a wine with high and homogeneous quality. This is then when aging begins in Slavonian oak barrels, where the wine rests for a period ranging from 40 to 50 months. The bottling will then be carried out under nitrogen pressure and bottles are sealed in a vacuum. Finally, a further refinement in bottle follows for 4/6 months before releasing the wine for consumption. 2012 was affected above all by the dry and very hot summer. Fortunately, the nearby springs create a micro climate that never lead to exasperation of aridity in the soil and air of the Molvina area. At the complete ripening of the grapes, the fruits appeared however “lighter” than the other years, this because they had a smaller quantity of water inside them, but the high concentration of sugars and a long maturation in the cellar allowed us to obtain a fine, mature and superbly structured wine. The climatic trend of the year affected all the vegetative phases of our vineyard. It started with a very cold winter, then a spring with frequent rains that increased soil water supply, which became essential during the long dry and very hot summer to follow. In July, the temperatures were already very high, but it is in the second half of August that they reached their peak (with a maximum of 38 ° C). Flowering, “allegagione” (flowering pass to fruit) and “invaiatura” (ripening phase in which the fruits change color) took place according to a normal calendar. The distinctive character of the vintage was the summer drought, which has compromised productions on the front of quantity, but on the other hand the expected quality of the grapes was excellent for providing well structured wines that lend themselves very well to ageing. This is a rich red wine with ruby reflections. The flavour is broad and slightly smoked. 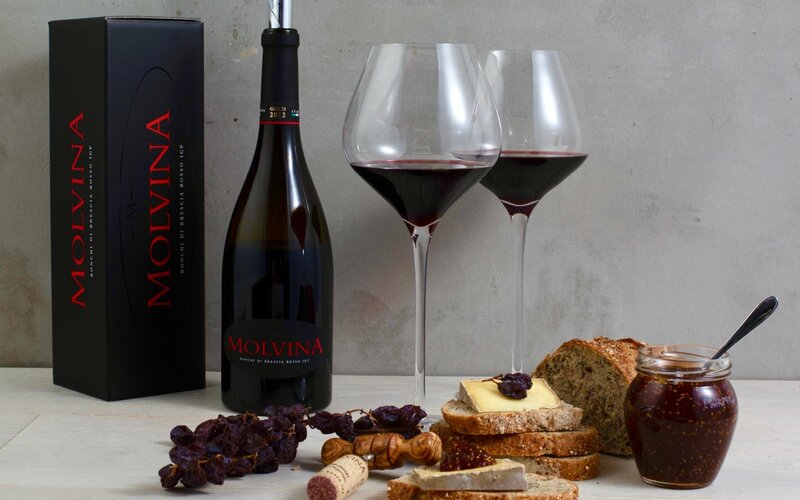 The aging process gives this wine an unmistakable aroma, the scent is persistent, with a long aftertaste of vanilla, tobacco, plums, cherry and red berry fruits. Satin-smooth on the palate, well-rounded, great texture and perfectly balanced, with a succulent fruitiness. It has an alcohol content of 15.0 degrees. Smelling: Oaky, Tannic, Rich, Red Fruits, Cherry, Smoked. Sipping: Broad, Well-Rounded, Supple, Cherry, Black Currant, Cocoa, Fruity, Tannic, Tobacco, Woody, Cinnamon, Vanilla, Refined Lingering Aftertaste, Rich. The late harvest of the grapes usually takes place after the second half of October. Bunches are picked, selected by hand and placed in boxes of 5 kg each. The grapes then rest for about a month to obtain the right drying. The crushing process follows and the musts are then placed for three weeks in vertical temperature controlled steel fermenters. After the fermentation process, the wine is separated from the solid part and left to rest for a year in the cellar in underground tanks, thus avoiding even the slightest changes in temperature. The next phase involves the selection of the best crus to obtain a wine with high and homogeneous quality. This is then when aging begins in Slavonian oak barrels, where the wine rests for a period ranging from 50 to 60 months. The bottling will then be carried out under nitrogen pressure and bottles are sealed in a vacuum. Finally, a further refinement in bottle follows for 6/8 months before releasing the wine for consumption. I ostér i sa mai se fa ‘l vì o schisà l’ua. Gli osti non sanno mai se fare il vino o pigiare l’uva. 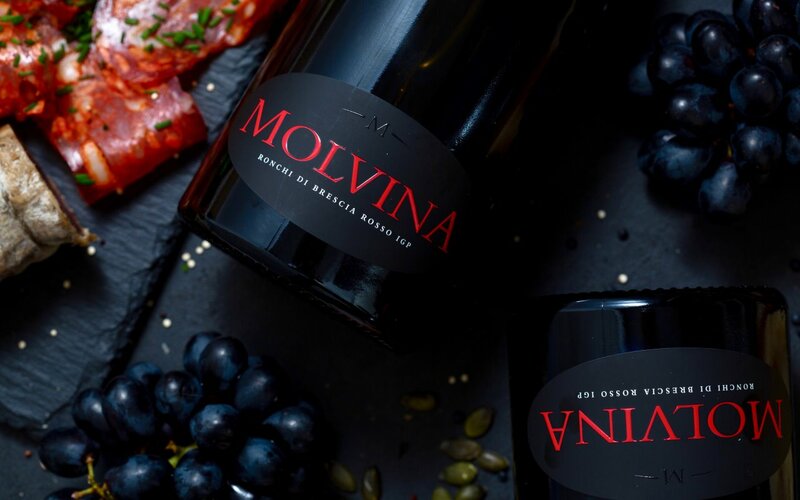 Molvina Wine is produced by and is a registered a trademark DBV di Torri Renato & C. Snc with registered office in 4, Via Gobetti – 25086 Rezzato (BRESCIA), Italy.